Howdy and good morning guys, how’s your day? I hope everything goes well. This day I want to share with you about one of the strongest heroes in Marvel universe. Well, you must be guessing Hulk, right? Well, your guess is totally right. It’s Hulk, the strong green man from Marvel. So, how much you know about Hulk? 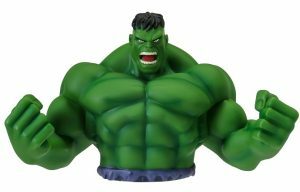 Come and find out who is Hulk and who is behind the character of Hulk only on my website today! Check it out, dude. As the strongest hero from Marvel universe, there are a lot of people wondering and trying to find who is the person who stands behind Hulk great name. They are trying to open up Hulk secret identity to the public and make it as a treat for public safety. However, that kind of dirty trick won’t work for Hulk. Well, to know about this hero more, we need to know who is Hulk first right? Well, let’s find out who is him. There are a lot of people wondering and questioning about Hulk real entity. His power that beyond imagination and his uncontrollable anger that can destroy a whole city in a blink of eyes makes him known as the strongest character among true other Marvel superheroes. However, even though Hulk posess such a great power, there is a slight fragile side of him if you look further into his eyes. A small and fragile man called Bruce Banner. Well, you must be curious about how can he possess such a great power, right? Like the other superheroes Hulk also has several enemies whether it is in his movie or comic. Hulk enemies are so tough and most of them always almost success to destroy the Marvel universe. Well like Flash and Reverse, Batman and Joker, Superman and Doomsday. 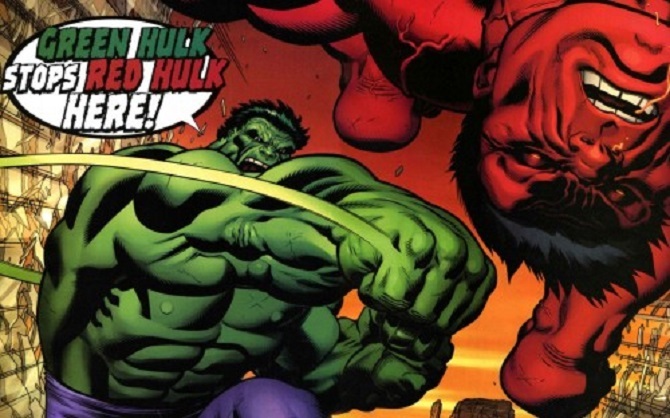 Hulk also has his own big enemy too and his name is Red Hulk. The question now is who is him, right? It’s really different than Hulk or She-Hulk The Red Hulk possesses the power anger. The angrier he is the stronger he becomes. Do you know even in Marvel Alternate story, Red Hulk was told to killed all Marvel Superheroes and wipe out all the good and righteous people all alone by his own hand? Do you also know that the world almost destroys because of him? 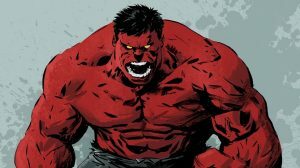 Luckily, there is someone who possesses enough power to help Hulk to stop the chaos that caused by Red Hulk and save the world from destruction. In the movie or comic, later Hulk come to join Marvel after he finally can control his alter ego and his enormous power. I think my article today about one who is Hulk and explanation about one of the strongest superheroes from Marvel is enough for today. If you think my article today is useful for you, please share my article today with the other Marvel lovers. See you soon in my next article, I hope you won’t get bored with me. Thanks for sparing a few minutes to read my article and have a nice day dude.